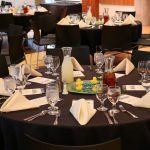 On May 15, the Lundquist College of Business Honors Program hosted its 19th annual spring banquet at the Ford Alumni Center. 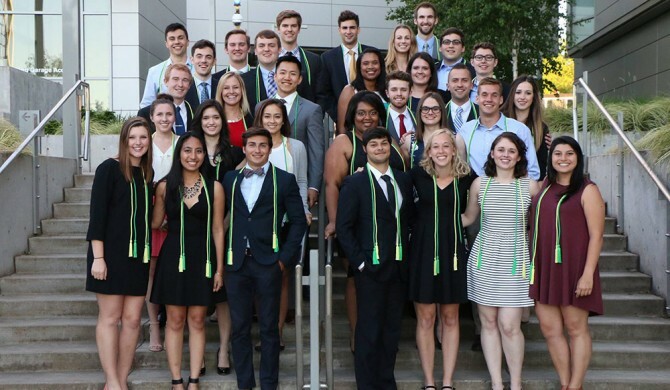 Students, their families, and faculty members gathered together to celebrate and recognize the 2015-2017 cohort and their completion of the Honors Program curriculum and resulting graduation from the program. Keynote speaker Jonathan Evans began the evening by sharing his experiences as co-founder and CEO of Skyward IO, a Verizon company. Skyward is a revolutionary drone operations company that Evans started during his time in the Oregon MBA program in 2012. Since then, Skyward has grown tremendously and recently merged with Verizon. Evans shared inspiring stories from his company as well as important lessons that he learned through his business experience. As Evans discussed making it through Skyward’s most challenging years, he emphasized the importance of persevering and maintaining core values. By sharing his story, Evans hoped to spark students’ curiosity to explore new things—after all, that’s how Skyward began years ago. Sahar Petri, the 2016 Leadership Award recipient, announced two award winners. First, Julie Meunier of the 2016-2018 cohort received the 2017 Leadership Award. 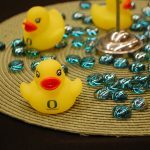 Meunier is highly involved in the Lundquist College of Business, notably working as a Duck Guide and as a member of the Oregon Consulting Group. Next, Doug Wilson was recognized as the recipient of the 2017 Faculty Award. Wilson taught the honors capstone course, BA 453H, in which teams of students worked on projects with the City of Albany. 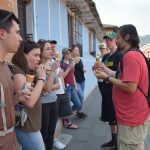 Next, Amanda Gonzales led a look back on the 2017 Honors Program alternative break trip to Guatemala. 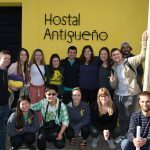 Gonzales took time to thank the generous sponsors, donors, and all of the other individuals who made it possible for 11 students to travel with Where There Be Dragons, an experiential learning organization, this past spring break. Honors Program director Deb Bauer followed Gonzales to present the final award of the night, the 2017 Student Achievement Award. This award is given to the graduating member with the highest GPA. This year’s recipient was Jack Miller. Bauer also recognized members of the student management board for their hard work and contribution to the program’s success this past year. Graduating senior Ben Tesluk ended the night with a speech reflecting on the 2015-2017 cohort’s time in the Honors Program. He emphasized his appreciation for his cohort, whose members are now close friends, and for the opportunities the program provided. Tesluk also thanked Bauer for her enormous contributions to the program over the years, as she is finishing her final year as program director. Bauer received a standing ovation from banquet attendees as Tesluk presented her with a thank you gift from the graduating class. 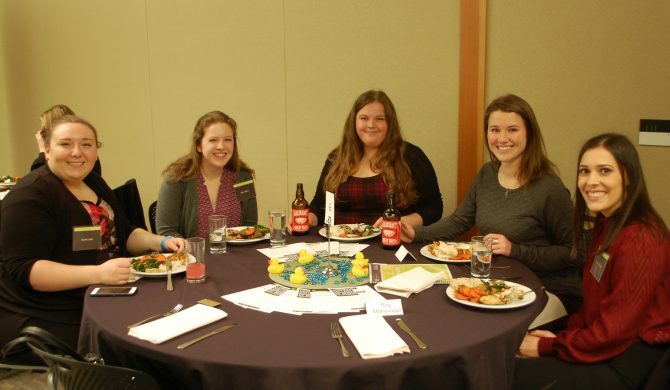 The evening was full of inspiration and recognition of notable people involved in the Honors Program. The banquet marked 35 students’ successful completion of the program, a significant challenge and honor worthy of celebration. Story by Carolyn Graeper ’18. Graeper is a business administration major with a minor in art. She will spend this summer working before traveling to Denmark to participate in a fall semester exchange program at Copenhagen Business School. Graeper will graduate in spring 2018. 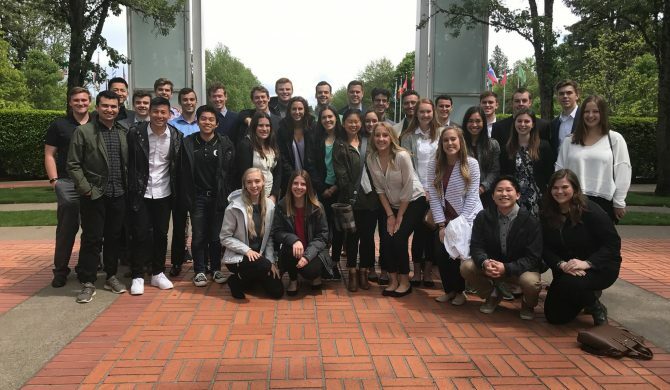 During winter term, the Lundquist College of Business Honors Program was fortunate enough to visit two wealth management firms in Portland, Oregon. 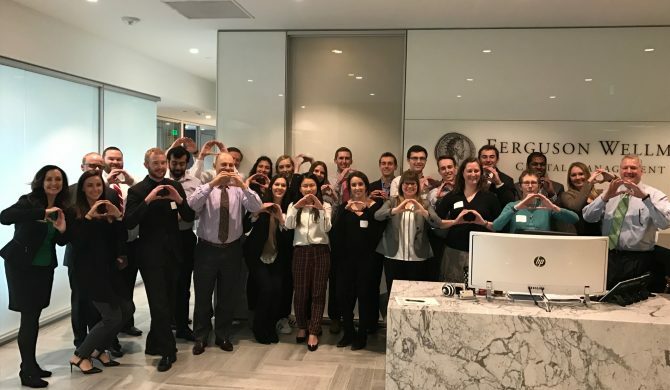 Joining two other student groups—the UO Investment Group and the UO Financial Management Association—Honors Program members spoke with executives from Ferguson Wellman and Arnerich Massena to learn the ins and outs of what each company has to offer and the culture of each firm. The first stop was Ferguson Wellman, located in the heart of downtown Portland. 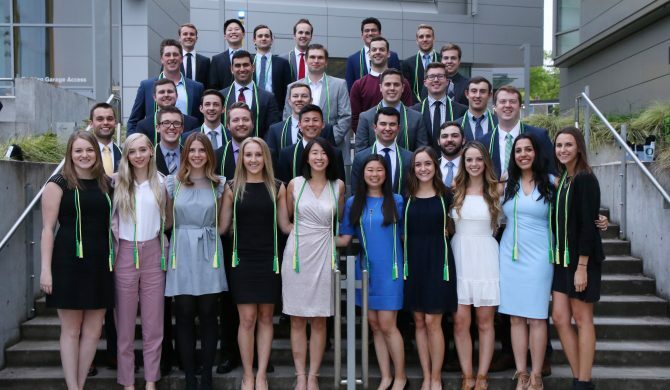 Students had the privilege of hearing from two executive vice presidents and UO alumni: Ralph Cole, executive vice president of research; and Josh Frankel, executive vice president for West Bearing Investments. Both discussed how the nature of their careers allow them to develop long, rewarding relationships with their clients. Cole and Frankel also gave great advice on how to reach dream careers by getting involved on campus and not being afraid to reach out for help. 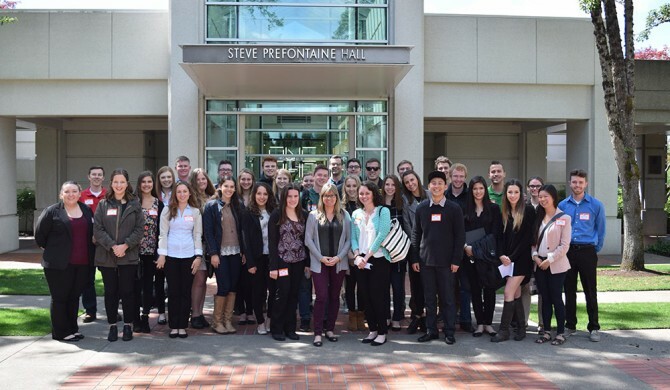 Later in the day students headed over to the largest private wealth management company in the state of Oregon: Arnerich Massena. 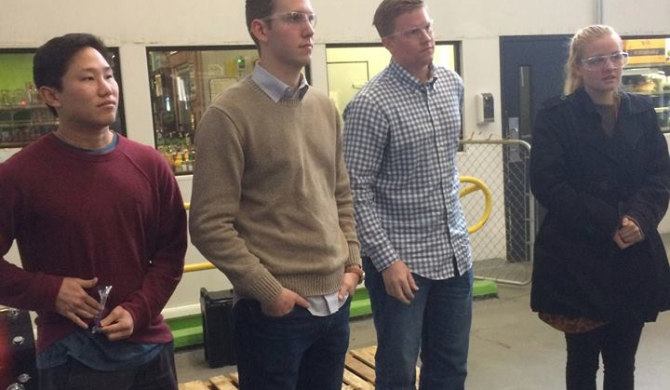 They were greeted by three staff members—Ryland Moore, Mr. Christopher Van Dyke, and Mr. Matt Bryant—who expressed their love for the company and conducted a question and answer discussion. Much of the company’s success is due to its strong values of always doing what is best for the customer and investing in firms that have the potential to not only yield economic success but also help the world around them. All in all, the site visit attendees had a great time learning more about the financial industry and meeting incredible people who are so willing to help students on their journey to find their dream career. Story by Arianna Shapiro ’18. Shapiro is an accounting and economics double major. She will spend the summer in Tel Aviv, Israel, participating in a data analysis internship program for a start-up company. She will also participate in a number of accounting summer leadership programs. Shapiro will graduate in spring 2018. 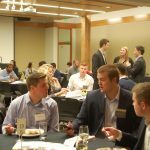 In January, the Lundquist College of Business Honors Program held its annual alumni networking event at the Portland White Stag building. 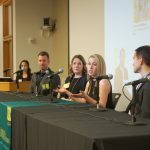 This event offered students the opportunity to network in a professional environment, alumni the chance to reconnect with old colleagues and meet current Honors Program students, and a chance for everyone to see how the Honors Program is growing and developing. 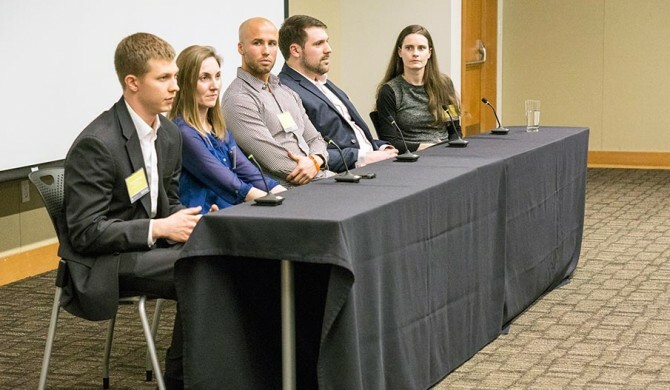 This year the alumni networking event had five program alumni panelists: Corinne McWilliams, senior global demand planner at Nike; Ryan Dingler, digital product manager at Visa; Justin Christiansen, general manager for the Internet of Things market and channel sales at Intel; Ben Estes, product marketing manager at Apple; and Annie Klug, director of community programs for the Portland Trail Blazers. 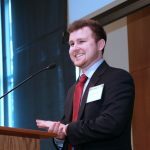 These individuals shared their experiences, reflected on their time at the Lundquist College and in the Honors Program, and provided insight to life post-graduation. The recurring theme of the discussion focused on the indirect paths each took to get to their current careers. New Lundquist College of Business Dean Sarah Nutter was also in attendance. She spoke about her excitement to join the Lundquist College of Business, to work with faculty, staff, and students, and to continually improve both individual programs and the college as a whole. 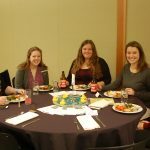 The event was a successful night of opportunities for students to gain insight on defining their career goals and discovering how the Honors Program can help them achieve those goals. 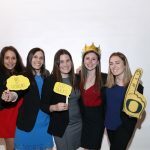 Connecting with the students that have come before us and are now Honors Program alumni gives students a solid foundation of support, inspiration, and motivation. Story by Jessica Goss. Goss is a business administration major and economics minor. 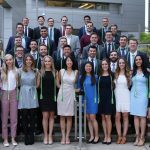 Goss is a member of the Oregon Consulting Group and will be graduating spring 2018. 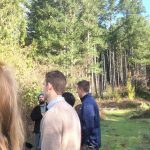 On the chilly morning of November 4, a group of ten honors students piled into carpools and headed south for the first site visit of the 2016-2017 academic year. 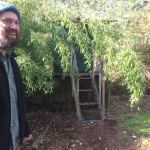 The first stop was Cottage Grove, Oregon to visit Aprovecho, a non-profit organization with a mission of “living, learning, organizing, and educating to inspire a sustainable culture.” While there students toured the heart of the 40-acre grounds with the center’s permaculture program director and land steward, Abel Kloster. 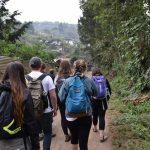 The group visited and learned about the meaning of the gardens, orchards, water catchment systems, homes, classrooms, and strawbale dormitory. Aprovecho hosts programs related to permaculture, building and design, green technologies, and community education. The visit was a fun experience for students to learn about non-profit business as well as witness the collaboration between business and community. The second stop was Hop Valley Brewing, located near downtown Eugene. 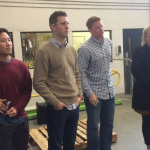 While touring the facility, students learned about the day-to-day operations of the entire brewing operation. 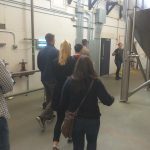 The tour included weaving through giant tanks, hoses, and conveyor belts to experience the creation process from hop to bottle. Additionally, Hop Valley’s acquisition by MillerCoors was a point of interest that students asked questions about. Following the tour the group claimed a table in the tasting room and shared a large lunch while discussing the day’s events. The day started on a cold, but beautiful mountain and ended in a cozy brewhouse. 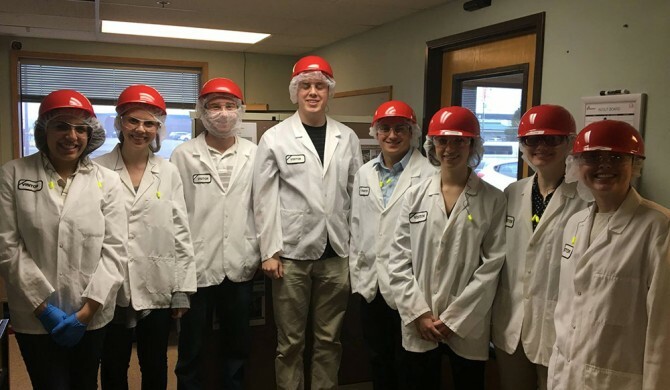 Students were exposed to a meaningful non-profit, learned about supply chain operations, and had the opportunity to engage with amazing local businesspeople and their peers. 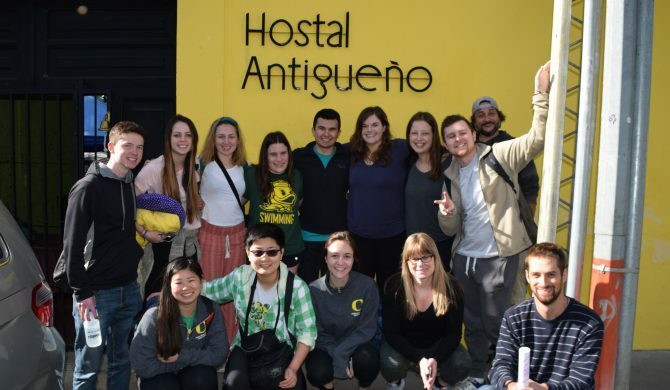 The honors site visits are not just about questions and tours—they’re about the people who make communities thrive and inspire everyone to succeed. Joslyn Bryant is currently a sophomore double majoring in business administration and romance languages and minoring in food studies. She studied abroad her freshman year in Italy, and plans to study abroad again this summer in Greece in a food studies program. Bryant will graduate in spring 2019.